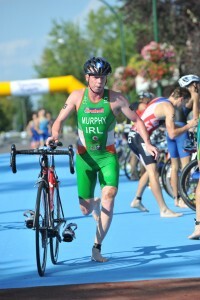 TRIATHLON: Bryan Keane nailed down his place for the Rio Olympics when he finished 20th at Saturday’s Triathlon World Cup round in Yokohama, Japan. Keane – who suffered severe injuries in a cycling crash four years ago – began his race with a fast time of 19 mins 37 secs for the 1500m swim and followed that up with a strong 40km cycle in 56 mins 15 secs. He finished off with an impressive time of 30min 49secs for the 10km run to give him an overall total of 1 hrs 47 mins 58 secs. His 20th position puts him firmly in the list of 55 qualifiers for the Rio Games. . Although she finished only 48th in the women’s race, Aileen Reid had already ensured her place at Rio with a number of top ten finishes last season. She’s ranked 15th of the qualifiers. Paratriathlete Catherine Walsh from Swords continued her campaign to qualify for Rio when she finished third in the women’s visually impaired category, with her pilot Fran Meehan. Walsh, aged 43, has already won Paralympic medals for both athletics and cycling in a record-breaking six appearances at the Paralympics. 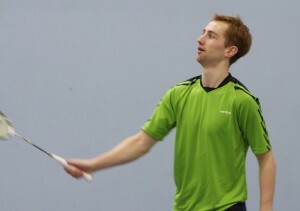 BADMINTON: Sam and Joshua Magee have won the men’s doubles at the Slovenia International after beating Mathias Bay-Smidt and Frederik Søgaard Mortensen of Denmark in a closely fought final that lasted 54 minutes. The Irish had taken the opening game easily at 21-9, but the Dames gave them a battle in the second, holding hte lead until the score stood at 20-19 when the Irish finally levelled the match at 20-20. With two mistakes by the Irish, the Danes then took the second game 22-20. In a n evenly balanced third game, Bay-Smidt and Mortensen led by one point at the mid game interval and the two pairs continued to trade points until the score stood at 17-17. Three quick points from Sam Magee in the front court brought the Irish to match point at 20-17. The Danes clawed back one more point before the Irish took the victory at 21-18. This was a great achievement for this pair who took bronze at the European Games last season. 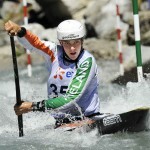 finished 19th in the C1 semi-finals at the European canoe slalom championships in Liptovsky Mikulas, Slovakia. Jegou ‘s time of 11.02 secs, including six seconds in penalties for touches at gates one, nine and 20, giving him a total of 111.02 secs. Crucially, that put him .2 of a second behind Italy’s Raffaello Ivaldi, and so he failed to finish best of those countries who had not qualified for the Rio Olympics as he needed to do. Both Hannah Craig in women’s K1 and Ciaran Heurteau men’s K1 failed to progress past the opening round. ROWING: NUIG beat Commercial to win the men’s senior eights final by just two lengths at the inaugural Lough Rynn Regatta in Leitrim. Junior crew Daire Lynch of Clonmel and Ronan Byrne of Shandon won the men’s senior double. 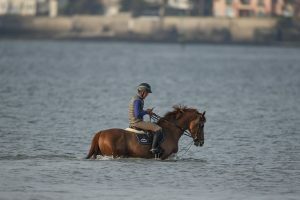 EQUESTRIAN: Bertram Allen and the 18-year-old stallion Romanov finished ninth in today’s five-star Longines Grand Prix at La Baule in France. Allen and Romanov were one of 11 combinations to go clear in the opening round but hit a fence in the second. Cian O’Connor riding Good Luck hit a fence in the opening round and failed to progress. At the four-star show in Windsor Castle, Cork’s Billy Twomey finished seventh in the feature Grand Prix with Diaghilev. Twomey had also finished seventh in the Accumulator competition with Ardcolum Duke earlier. In the USA, Shane Sweetnam, also from Cork, took third place in the $130,000 Hollow Creek Farm three-star Grand Prix with Chaqui Z.
Eventer Padraig McCarthy riding Mr Clunky won the Section B at the CIC three-star competition at Chatsworth in the UK; Mark Kyle finished fifth aboard Jemilla. Elizabeth Power was best of the Irish in Section C, finishing third with Soladoun.